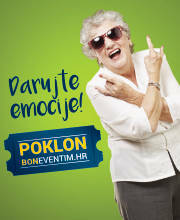 Buy tickets for Željko Joksimović at Eventim. Željko Joksimović born 20 April 1972is a Serbian singer, composer and producer. 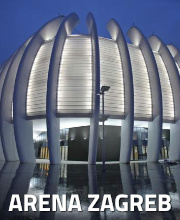 He is one of the most popular and respected artists from the Balkans. He is also very well valued elsewhere in Eastern and Central Europe. He can play 12 different musical instruments including accordion, piano, guitar, and drums. Joksimović is multi-lingual, being fluent in Greek, English, Russian, Polish and French as well as his native Serbian. He has a career as a solo pop artist and at the same time he is a prolific composer for other singers. He can be called a master of The Balkan Ballads for having written four of the most famous: "Lane moje" "Lejla" "Oro" and "Nije ljubav stvar". He also composes music for films, television series and theater shows. 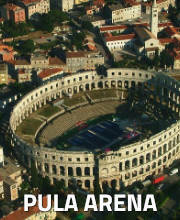 He represented Serbia and Montenegro in the 2004 Eurovision Song Contest with the song "Lane moje", placing second. He represented Serbia in the Eurovision Song Contest 2012 in Baku, Azerbaijan and finished 3rd. Popular singer Željko Joksimović would in near future like to visit his fans in Serbia and will try to schedule a show in Serbia. If you are interested and want to be updated, register here.